Is teacher training the key to intercultural education? In this article, we present a concrete proposal about how to teach motor development in Kindergarten based on the use of induced learning and with a holistic and globalized approach. The proposal stems from a group of elementary PE teachers who, in a Permanent Seminar, have been working together for the last nine years. In the article, we explain the organization and functioning of this Permanent Seminar, we revise the state of motor development in Spain and analyze the foundations of our proposal paying special attention to its main characteristics. The revista española de pedagogía is present in the leading Spanish and international databases, such as Journal Citation Reports (JCR), Scopus, JSTOR, etc. In fact, it was the first Spanish journal to appear in JCR, where 95 per cent of the journals in the Education and Educational Research category are only available in English. 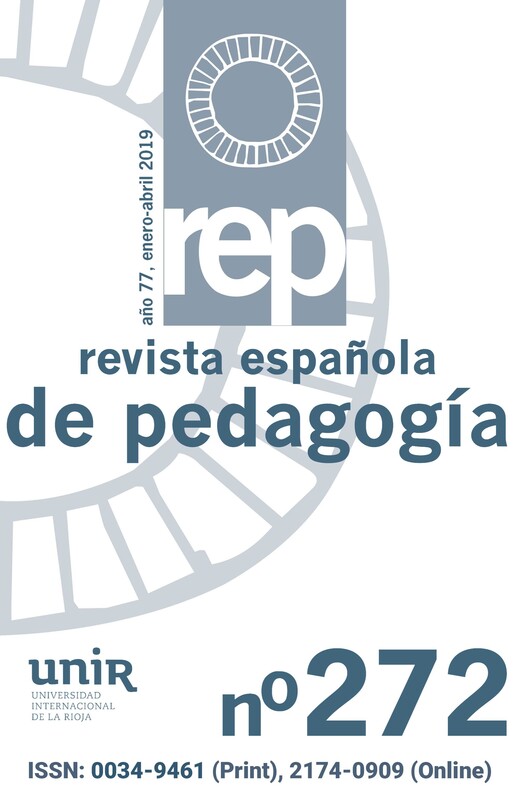 Consequently, since 2017, the revista española de pedagogía has also made all of its articles and book reviews available online in English. All of the articles published in the journal since it was founded in 1943 are available on this website. Articles can be downloaded for free apart from ones from the previous year.